A new tweak for jailbroken iOS devices has been released in Cydia that changes how the stock messages app looks. SMSContactPhotos7 tweak adds photos of people who are added in a user’s contact list in messages. This change not only makes the app more personal but also give users a feeling like they are talking to their friends on an online chat service instead of SMS. 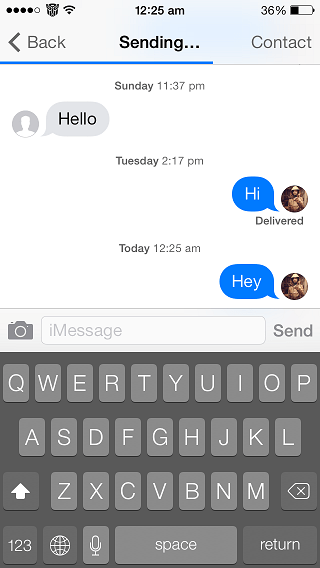 The avatars are added for both iMessage and SMS text messages. The tweak adds the user pictures on the list page as well as on the conversation pages. The profile pictures are taken from a user’s Apple ID. So if you or your friend has an iOS device and is using a profile picture then that image will be shown his or her avatar during conversations and in the list. SMSContactPhotos7 tweak is available in Cydia for free. It requires iOS 7 and there settings to configure for this tweak.